"C'est la crise!" exclaimed Midi Olympique on Monday morning. It's a headline that has been replicated recently around the world but the venerable rugby journal wasn't talking about the global economic crisis or another French bank implosion but instead referred to the poor performances of French clubs in the Heineken Cup the preceding weekend. Of the seven clubs involved, only Clermont Auvergne and Toulouse managed victories last weekend and it is looking more and more likely that the knockout stage could feature only one French qualifier in the form of Toulouse. Both Clermont and Stade Francais are in with a shout too but the performances in Europe have left rugby supporters scratching their heads. It's undoubtedly a poor return for a nation who considers the Top 14 to be the best club league in the world. But is it the start of a crisis? 1. Is Marc Lièvremont the right man to lead France to the World Cup in 2011? 2. Is the French club system capable of blooding and supporting a national side that can go toe to toe with the southern hemisphere countries? Lièvremont was a surprise to many when he was selected by outgoing FFR President Bernard Lapasset to replace Bernard Laporte after last year's Rugby World Cup. With little experience of coaching at Top 14 level, he was seen as a gamble, especially with coaches of the reputation and experience of Guy Noves seemingly available for hire. "A bright start aside, his teams have looked largely uninspired and tactically naïve at times. Indeed, after nearly a year in the job, it's difficult to see where France has made any progress"
A bright start aside, his teams have looked largely uninspired and tactically naïve at times. Indeed, after nearly a year in the job, it's difficult to see where France has made any progress, a fact that has not been lost on the French rugby public. Lièvremont has not had it easy by any means and the difficult challenge of replacing the likes of Fabien Pelous, Raphael Ibanez and Serge Betsen would prove testing for any international coach. In addition, he has not had the luxury of being able to pick and choose the best Top 14 players like his predecessors. Confused? Well so is Lièvremont. Unfortunately for him, many of the best players are no longer French. The French coach has not been silent on the matter either and it's clear that it's beginning to become a serious concern for the French team management. 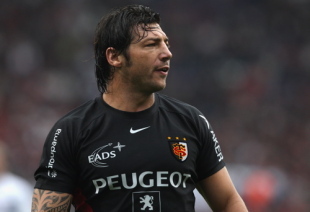 The growing clout of the French clubs over the last ten years and the militant leadership of former French legend Serge Blanco has proven to be a worthy bulwark against what the LNR (Ligue National de Rugby) sees is the meddlesome hand of the FFR. But Blanco is gone and it is here where Lièvremont may have a friend on his side in the new LNR President Pierre-Yves Revol. Castres President Revol is seen as a diplomatic replacement for Blanco, who fought tooth and nail for his clubs' interests in recent years with little thought for the development of rugby outside the professional clubs. And while the ligue has grown enormously popular in the last few years, there is a mounting public disquiet over the number of overseas players now plying their trade here. The recent revelation that French players and management at Brive had started taking English lessons because of the number of Anglophones has only served to increase the uneasiness. In particular, there has been growing opposition to short term contracts similar to the one signed by Dan Carter a few months ago. Carter is due to play his first match in Perpignan colours this weekend against Leicester Tigers and while there is great anticipation for Carter's debut, six month 'sabbaticals' for star players is not an idea that gains much credence with the French public. Funnily enough, it's not the remuneration that irks many but the notion that six months is too short a spell for any player to have a long-term impact on the club. While that might seem fanciful to some, it remains a major issue in the south west of France. With around 70 overseas internationals now playing with the seven Heineken Cup clubs alone, it would seem that the problem is here to stay at least in the short term. The balance of power between the thirty pro clubs that make up the LNR and the FFR is unlikely to change any time soon and a consequence of that will the continuing decline of the national side. But the fact that most of the best players in the Top 14 are no longer French will not escape Marc Lièvremont. He will hope that the decision makers of French rugby see that too. Would this Top 14 Overseas XV beat the current XV de France?